Twenty years of Beaconsfield’s relationship with Langres reached an historic milestones when 20 members of BTA including Town Mayors past and present, travelled to Langres for a weekend of commemoration, celebration and more than a few delightful surprises. 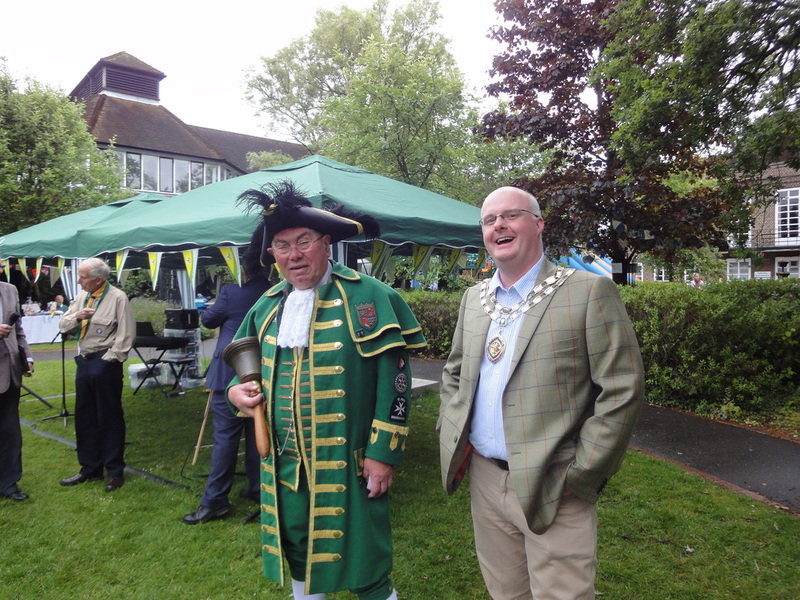 • A renewed Charter celebrating 20 years and beyond for our two towns. 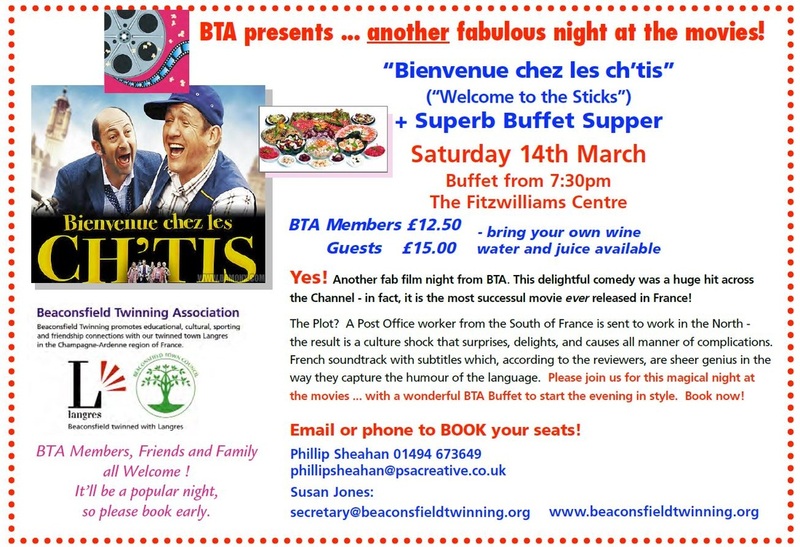 • A grand dinner with a giant cake and great cultural entertainment. • Baroque dancing inspired coral singing, and a reception at one of Langres’ most impressive buildings. We arrived by coach on Friday, the weather was glorious and the ferry crossing smooth. Host families were assembled at the Place Bel Air to greet us. After a ‘free time’ Saturday morning and lunch with hosts, it was a ‘petit train’ tour of the town for most of the delegation with the rest walking the Diderot trail on a tour of the historic sites associated with the life and work of Langres most famous son. In the late afternoon on Saturday the formal part of the visit was marked in grand style with the Langres town band leading the delegation into the Town Hall for the formal signing of the charter between our two towns. Signing for Langres was Langres Mayor, Sophie Delong, with the current Beaconsfield Mayor, John Read, adding his name to confirm that the relationship between our two towns is as strong as ever and looking optimistically towards the next 20 years. The band then led the way from the Town Hall to the ramparts where we processed (informally but with great enthusiasm!) to the section of the ramparts walk that had been renamed officially as ‘PROMENADE de BEACONSFIELD’. After the unveiling of the plaque by both mayors and a ceremonial cutting of the ribbon, accompanied with a gun salute by an honour guard in period costume from the 19th century armour, we set off to enjoy the magnificent views over the French countryside during this first stroll along the ‘Beaconsfield Walk’. A section of the rampart wall now bears a sign reminding those who walk its picturesque route that Beaconsfield is a mere 600km away. A statistic that was graciously converted to 327 miles for the benefit of those UK visitors who may wish to stand at the spot and gaze fondly in the direction of Langre's twin town. But Langres had another surprise in store. As part of the ceremony those witnessing the charter signing at the Town Hall had all signed a memorial statement. This parchment was now to find a permanent home sealed in a stainless steel tube (a time capsule) that was ceremonially placed into a prepared section of the wall. It was an absolutely brilliant idea and the fact that it was kept a secret added tremendously to the sense of occasion. Very few people can claim to be ‘immortalised’ in a time capsule. We lucky few can! The weekend of 19-20th September was chosen especially because just this weekend each year certain historic buildings in Langres are open for public viewing. So it was with great anticipation that we strolled through the town to ‘Sous Préfecture’ for a reception hosted by the ‘Sous Préfet’. The nearest equivalent we have in England to the Sous Préfet is that of the role of a Lord Lieutenant, though few (if any?) Lord Lieutenants here would live in such a grand house as that of the Sous Préfet of Langres. We enjoyed a self-guided tour of the grounds before a very entertaining reception with the Sous Préfet, delighting us with an account of his stay in England as a young man, the legacy of which would seem to be a lifelong affection for baked beans on toast. Saturday evening was our opportunity to enjoy the company of our Twin Town host and more gastronomic treats at the formal dinner. We were delighted to see that cabaret singer, Marie Ruggeri, well known to some BTA members following her visit to Beaconsfield in 2004, was there to entertain us with her unique and engaging performance of songs and repartee that is her trademark style. No party is complete without a cake. And what an impressive cake it was! Crafted in the shaped of an open book and aglow with candles, it provided the focal point for a ceremonial cake-cutting photo opportunity and a spirited chorus of ‘Happy Birthday to Twinning’. The open book design, what inspired this? Was it homage to Diderot, the father of the encyclopaedia? Or perhaps a symbolic reference to our twinning relationship so far – an open book on a story still being written? Either way it provided a very generous dessert for all the guests. A warm and dry Sunday morning was reserved for ‘free time’ with our host families, or the chance to explore more of the town’s attractions with maybe a spot of shopping. Sunday afternoon provided a window of opportunity to re-visit an attraction that some of us had enjoyed on previous visits – the cutlery museum at Nogent, a 20-minute coach ride from Langres. The Cutlery Museum has an innovative display reflecting the cutlery and knife-making tradition of the Nogent district. On display were some outstanding examples of craftsmanship and design charting the history of cutlery, scissors and surgical instruments made in the Haute-Marne region from the 17th century to the present day. By 5pm we were back at the Town Hall to share a local event with the citizens of Langres - the final of the ‘balade chantante’. 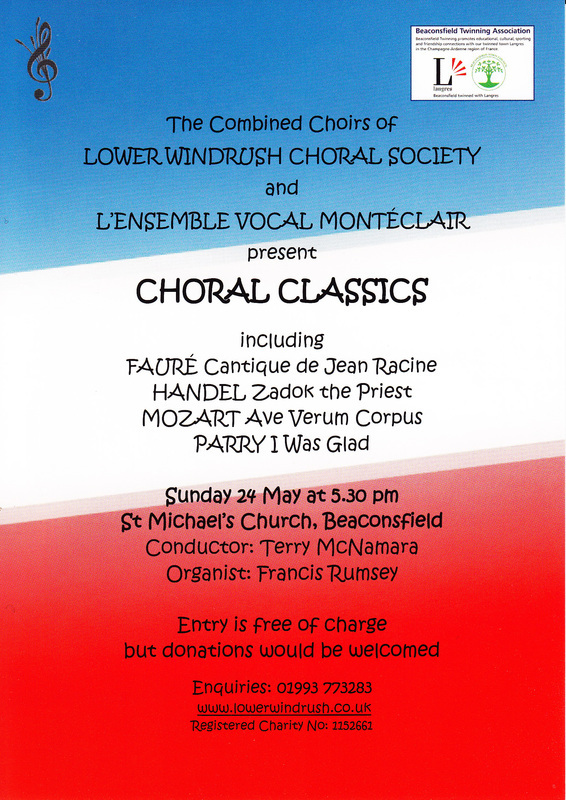 Three ‘a cappella’ groups were in friendly competition; a youth group who performed with great enthusiasm on the steps of the Town Hall; inside a large choir filled the Town Hall’s spectacular grand staircase and performed an equally spectacular medley of French and English songs; finally a male voice quintet remind us of the aural pleasure of fine male voices in perfect harmony. From the delight of song it was a short stroll to enjoy the visual splendour of baroque dancing by Langres’ historical re-enactment group, Dulcimer. The dances were performed in the grounds of the “Maison des Lumièries” (House of Enlightment). Following the dancing we were taken on a guided tour of the house, which was formally the Hotel du Breuil Saint Germain, built in the sixteenth century and rebuilt in the eighteenth. This beautiful and recently renovated property is unique in France; it is the only museum dedicated to Denis Diderot, philosopher, writer, art critic, and his most renowned work: the Encyclopedia. 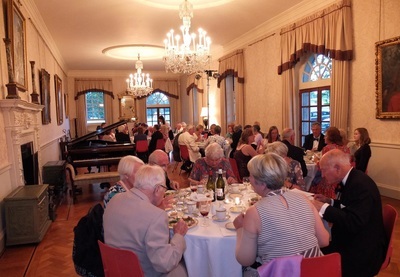 After pre-dinner canapés and drinks at the museum we returned to the Town Hall for an excellent cold buffet and a last opportunity to mingle and chat with friends old and new. 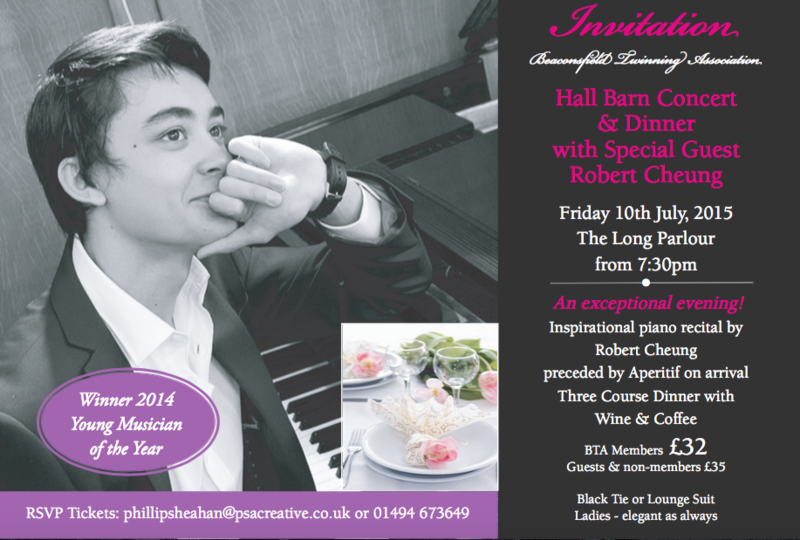 An Inspirational Piano Recital by Robert Cheung at Hall Barn! 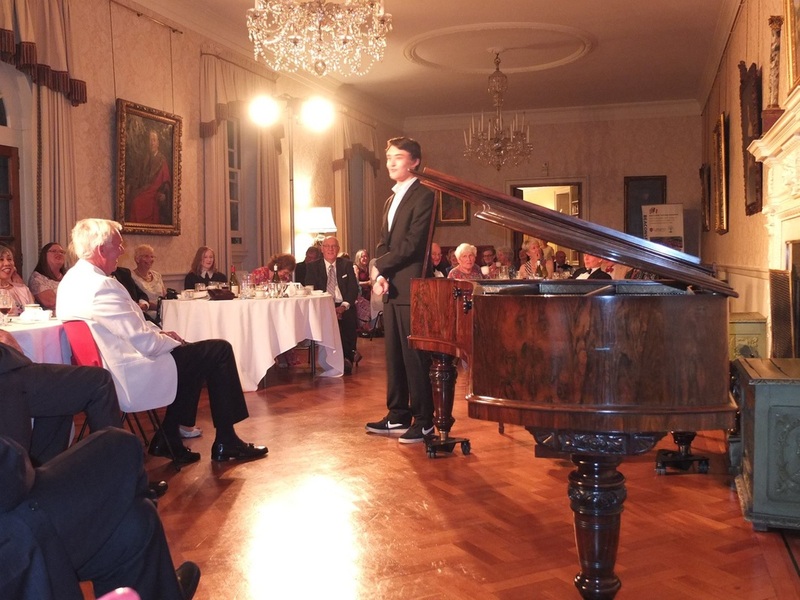 A big 'thank you' to our members, guests, supporters and friends who were at Hall Barn on the 10th July for our fabulous 'Dinner and Concert' with special guest, award winning pianist Robert Cheung. What a talent! 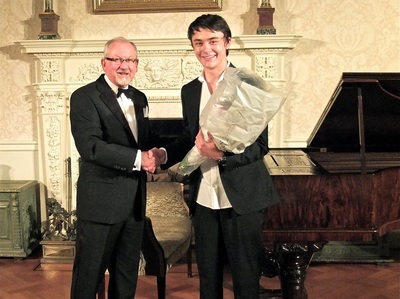 What a privilege to be entertained and enthralled by this amazing young man. 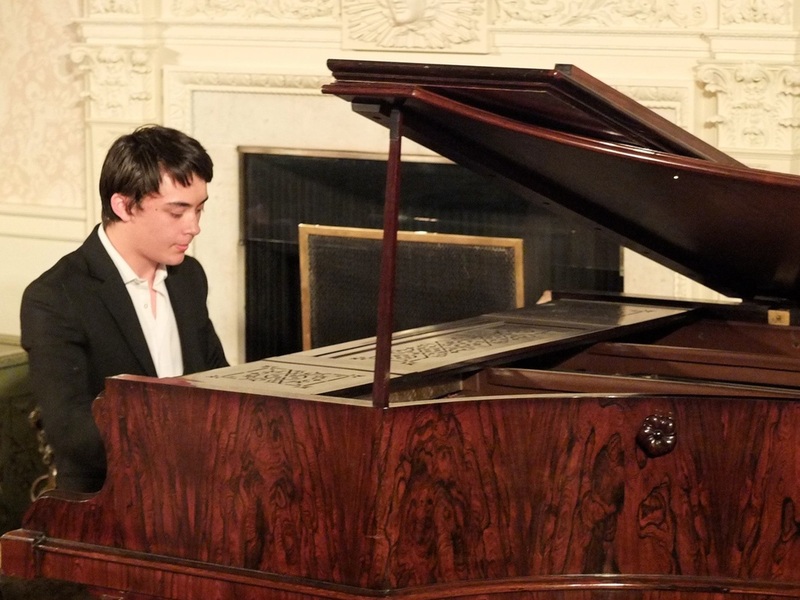 Below the photos of our event you can see a video of Robert playing Rachmaninov's 2nd Piano Concerto in C minor with the Reading Symphony Orchestra conducted by Stefan Hofkes at The Great Hall, Reading University. Tom Clary, the winner of the Voice of South Bucks, was unfortunately unable to go to Langres to perform at the Fête de la Musique on June 21st. 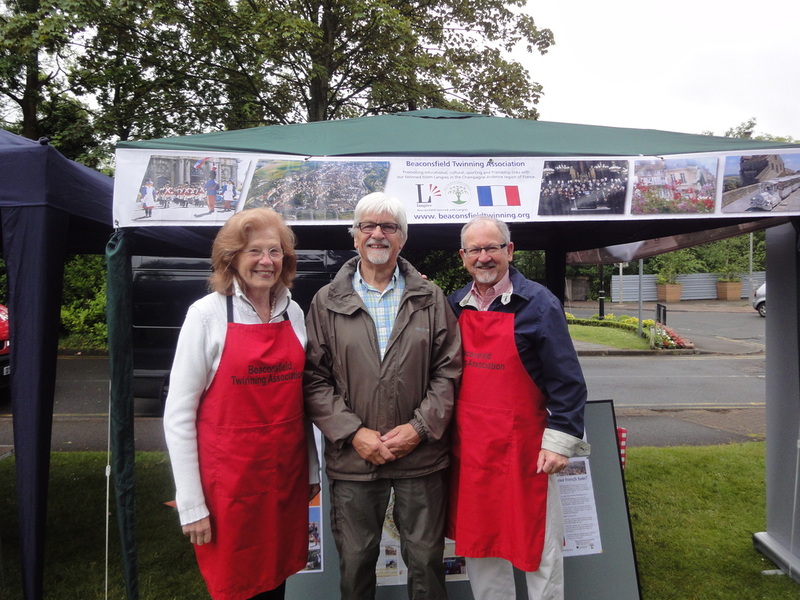 ﻿ Thank you to all who came to Café Langres on Saturday 28th March. We had a great time, with coffee and biscuits and quiz and cake. No more Café Langres now until October.